This one hit #1 for Phil Vassar 15 years ago this fall. It’s been about 15 years since this song reached the top of the country charts. 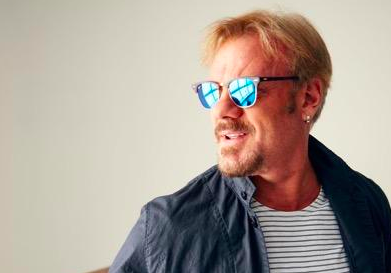 It was an interesting time for Phil Vassar. The singer-songwriter-piano-player had been having some hit singles for other artists. And other one of the songs he had co-written, My Next Thirty Years, was climbing the charts for Tim McGraw that fall. But Phil’s debut album was doing well and the second single, Just Another Day In Paradise, was really close to becoming his first number one as a singer. The song eventually did reach the #1 spot for one week before Brad Paisley jumped in for a couple weeks followed by My Next Thirty Years for a few weeks more to close out the year. Phil would go on to have more hits over the ’00s as a singer. He came along at an interesting point in country. Things were kind of changing and pop sounds were starting to take over again. But when you look back on a song like Just Another Day In Paradise you realize that the story in the song is very country and it’s just very American in general. You have a couple that loves life. They have a family. Sure, they would love to have a little more freedom from the kids and a little more time for everything, but when they really sit back and look at things they are living their dream. They have a family and they’re happy and that makes everything alright. It was a cool song back in 2000 and 15 years later I think it holds up pretty well.